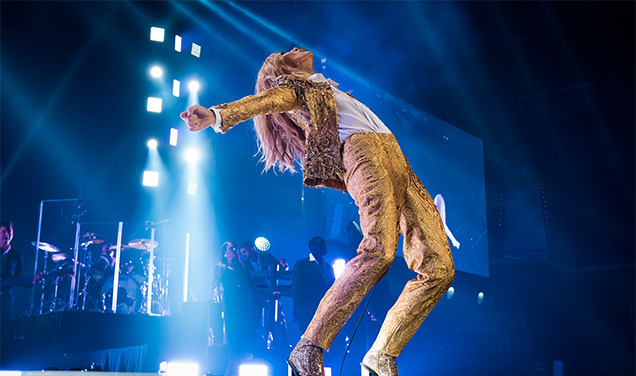 Céline Dion Official Website :: CELINE HEADLINES "BARCLAYCARD PRESENTS BRITISH SUMMER TIME HYDE PARK"
CELINE HEADLINES "BARCLAYCARD PRESENTS BRITISH SUMMER TIME HYDE PARK"
Celine is returning to London, UK to headline Barclaycard presents British Summer Time Hyde Park on July 5th, 2019. This will be her only European date of 2019! "It's my first time doing a show in beautiful Hyde Park.... I'm so excited. I love London, and it's a great honor for me to part of the BarclayCard presents BST Hyde Park concerts. I can't wait.... summertime in London, here we come!" An exclusive pre-sale for this performance will kick off on Wednesday, January 23rd at 9 a.m. GMT, before the public on-sale date of Tuesday, January 29th at 9 a.m. GMT. Step 2: Head to the Tickets section where you’ll find the pre-sale code and link to access the pre-sale. There is a limit of 6 tickets per purchase. Team Celine cannot guarantee that every one of its members will be able to purchase tickets, as they will be made available on a “first-come, first-served” basis.